We provide our service in the Philadelphia Area. 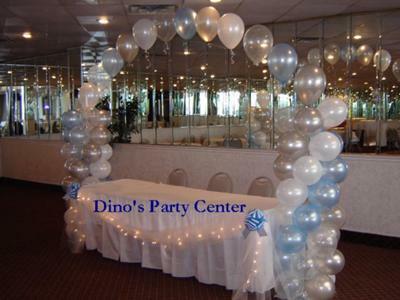 SERVICES include: Balloon Arches, Bouquet Deliveries, Centerpieces, Columns, Linkaloons, Sculptures, just write personalization. Picture balloons, gift in balloon. Weddings, Mitzvah's, Anniversaries, Birthdays, Corporate event, Baby Showers.